This weekend, we in the Oregon Symphony have the great privilege of sharing our stage with Hilary Hahn, one of the leading violinists of our time. The orchestra has been abuzz since her first rehearsal with us – with utterances such as “perfection”, “sublime”, “gorgeous”, and “stunning” flying about in our social media feeds, as well as in our backstage chatter (yes, we, like you in the lobby at intermission, talk about what’s happened in the first half, both good and bad). There’s no doubt about it, Hilary is an almost incomparable artist. People bring up legendary artists such as Heifetz and Milstein in conversations that involve her playing, and that is not hyperbolic. What is it that makes her playing so special, you might ask. Well, I’m going to try to answer that question. There is this myth that certain violinists, Heifetz especially, played everything perfectly. They came really close, but at a certain point, it is an illusion, much like the creation of a legato melodic line on a piano – it’s not really possible to do, but you can make it seem like it’s actually happening. There is such a focused intensity of Hahn’s concentration that is quite unique to her, it seems. I think it can be sensed from the audience, too, but especially from my vantage point (lucky me) of just about 10 feet away. She is so keenly aware of everything that is happening at every instant, especially involving her use of the bow, which results in a tone that is at once lively and burnished; vibrant and seamless. In rehearsals, I’ve never heard a blemish in her sound – which is relatively common to hear in some of our other violin soloists, no matter how accomplished, up to and including such greats as Perlman and Zukerman. Her left hand technique is also nearly faultless. There was a moment in the dress rehearsal, in the last movement cadenza to the Nielsen Violin Concerto, where there was ONE note, which was ever so slightly off center in terms of its pitch, and this look crossed her face in a fleeting moment that said “this will not happen again”. It didn’t. Her vibrato is so focused and consistent, it is an essential and inseparable part of her sound. She never uses it to the point of affectation, but rather like a great bel canto singer might – seamlessly and in service to the arching, long line of the melody. Hahn’s approach, overall, is decidedly old school. She doesn’t engage in histrionics onstage. She does move, sometimes quite a lot, but she seldom makes faces. And above all, she plays with a deeply probing musicianship that brings light to both established warhorses and hidden nooks and crannies of the repertoire alike. Her last appearance with the Oregon Symphony featured the Tchaikovsky concerto, and hearing her play that piece was like hearing it anew after countless variations on the Galamian/DeLay interpretation that one hears so often from the previous generation of American trained violinists. So, too, it is with the Nielsen. I was not familiar with the work before beginning rehearsals, but she makes a convincing argument for it as a piece that deserves to be heard more often on the concert stage. There really could be no more devoted advocate for the work than she. Then, there was the encore. The Sarabande from Bach’s Partita in d minor, BWV 1004. Played with such tenderness, control, and deep musicality. Time stood still for the nearly 2,000 people in the audience, and especially for those of us on stage. I just closed my eyes as the first notes sounded, knowing that this was going to be a transportive musical experience. And it was. This brief movement, a paramount expression of musical perfection – no one has ever come close to composing music this perfect, I would argue, and perhaps no one ever will – was a timeless expression of everything that makes the world’s great music great. It expresses the inexpressible. It goes where language cannot. It encapsulates all emotions for everyone who listens in that moment: joy, love, heartache, anger, sadness, grief. They are all there in every note that Bach has written, and especially so in this greatest of his six sonatas and partitas for solo violin. What was so great about the performance? The music just flowed from her. It wasn’t imposed, it just came out of her and to us through her violin with seemingly little filtration or adulteration. It just was. And that, to me, is perfection. And one of the most beautiful encores I have ever heard. She loves the orchestra too! I really enjoyed this post! Fine writing, summing up very well (and accurately, I believe) all that Hilary Hahn is. I admire her like no other in the current generation of string playing artists. The Nielsen concerto has never held much appeal to me, but we wanted to see Hahn perform so we went anyway. She really breathed a lot of life into that piece, and I left the Schnitz on Sunday thinking that there are very few soloists who can really pull off that concerto because it seems so demanding compared to some of the more familiar ones in the canon of violin concerti. As to the encore… Was that the Sarabande? I thought that she played Gigue in D-minor. Hi Sal – yes, on Sunday afternoon she played the Giga from the E major suite. ON Saturday night, she played the D minor sarabande. Thanks, I really enjoyed the show. I am really looking forward to seeing you play the Sibelius violin concerto with Joshua Bell. So glad that we have such a wonderful orchestra in Portland. Exceedingly well written, insightful and informative piece on Ms. Hahn! I have been a huge fan of her’s for years but I don’t have the musical “vocabulary” that you have…to say nothing of your insights and perspectives which were wonderful! Thank you so much for sharing! Such an eloquent and accurate article, very deserving of Mrs. Hahn. I could not stop laughing when you were describing the look in her face that said “this will not happen again”, one can immediately picture that moment. Anyway, thank you Mr. Noble for this great insight! Aristotle imagined four elements – earth, air, fire and water – composed the universe as humans know it. In the modern world, perhaps one might see four other forces that make human life what – for better and worse – it is: brain – the physical structure; mind – culture, language, religion, art, music; reality – the physical presence everywhere in and around us; the infinite – god, infinity, the universe. If one imagines a pyramid with only these four sides, they each touch and affect the other, give each both boundary and intersection. 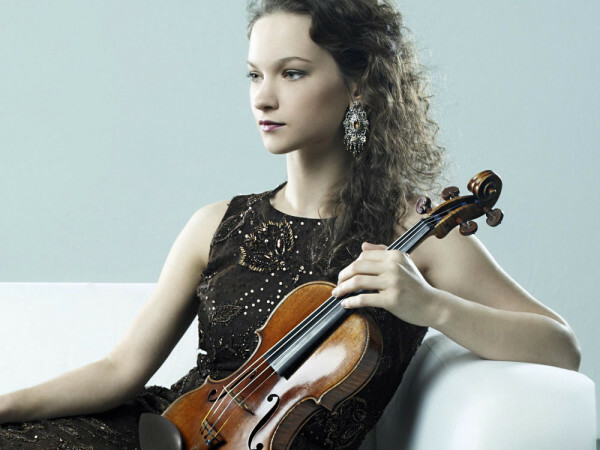 Hilary Hahn unites them all, as well as earth, air, fire and water – into the unearthly beauty life can, but rarely, truly achieve. I have also been fortunate to hear her play live twice: in Los Angeles with the LA Chamber Orchestra doing the three best-known Bach concertos (A major, E major, and D minor double with the concertmaster playing the other solo part); and her own recital in Seattle’s Benaroya Hall with a piano player. On the latter, she played a large portion of Charles Ives’s sonatas for violin. She displayed a luminosity unmatched in my memory and certainly not attainable in a recording — because of her presence. As a violist, I, too, am in awe of her bowing technique and so in Seattle I watched closely. Her bow was closer to the bridge than the fingerboard all evening. Not that there weren’t colors — there were. But she gets that great sound with great technique, no doubt. I enjoy her playing but I think those ahead of her are in another league: Kavakos, Vengerov, Shaham, Mullova etc. I really enjoyed reading these and especially hearing what she had to say about Bach. Before I forget all the music in us, I would like to hear her play Bach someday and meet her some year, in person. This oafish ignoble violist could not care less for the Beach Boys in this respect. 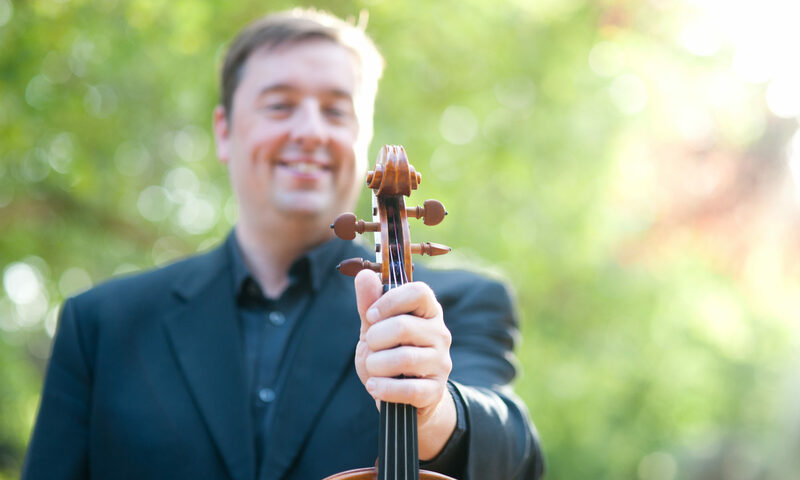 Bach, Bach… Whatever… Any competition or comparison to another violinist does not faze me. Violin hazing is always present. She is the best in what she plays. When I was searching the web for an interpretation of BWV 1041 Concerto for violin, I did the Stern, Perlman and others, but found a ceratain verve lacking, that magic undefined, the Fire. I never even heard of Hilary Hahn before that time, and so chanced upon her while browsing. Boy, was I nailed to my screen when her first opening notes emerged; I think I forgot to breathe during her performance! She became the Flame!